Exceptional Partners. Exceptional Returns. Greybrook’s developer partners are of the highest caliber and have successfully built hundreds of large-scale and landmark development projects in key markets internationally. Responsible for the day-to-day execution of our development plans, selecting the right partners are key in the success of our projects. In our Meet the Developer series, you’ll learn why we’ve partnered with them and how these developers are serving both our investors’ and their customers’ interests every step of the way. 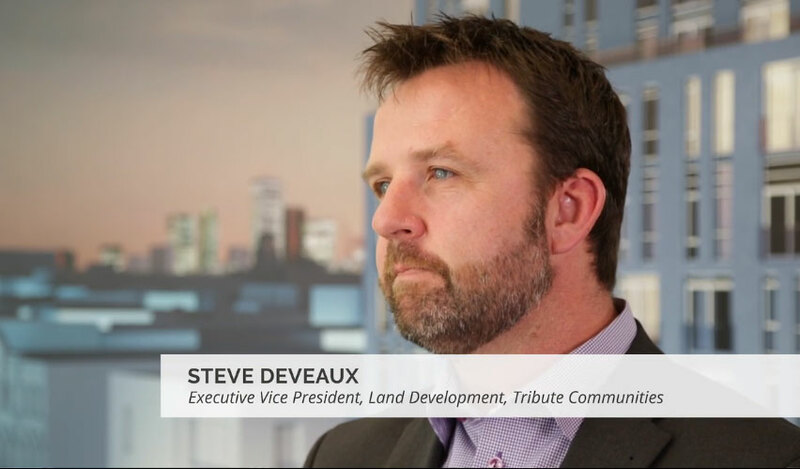 In this edition of Meet the Developers, we chat with Steve Deveaux, Executive Vice President of Land Development at Tribute Communities. With over 30 years’ experience building more than 30,000 homes across Southern Ontario, Tribute’s reputation has been earned through their architecturally distinct and exquisitely designed homes that incorporate unique features, classic finishes and the very finest streetscapes and communities.